Community organizer Jeanette Taylor and educator Nicole Johnson. 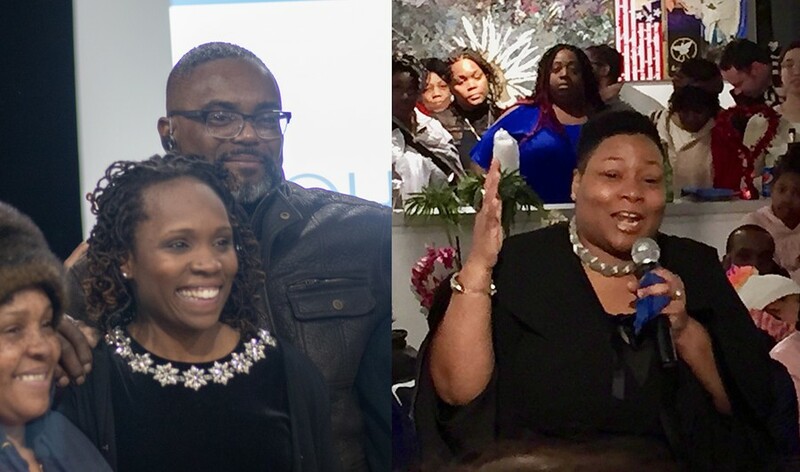 The race for 20th Ward Alderman will head to a runoff following a close finish between community organizer Jeanette Taylor and educator Nicole Johnson, who received 29 percent and 22 percent of the vote respectively. Runoff elections occur when no candidate receives more than 50 percent of the vote. “It feels bittersweet,” Taylor told The Maroon, because “I’m going to be in a runoff against Nicole Johnson, and I never wanted to be a sister against a sister.” Still, she added, she’s mostly excited. “We are going to get somebody who is going to stand up and fight, and it just will really push the envelope for what happens in Chicago now,” she said. Both Johnson and Taylor are newcomers to city government, as opposed to other candidates who ran for 20th Ward alderman such as Kevin Bailey, 20th Ward Democratic committeeman, and Maya Hodari, a director of development at the Chicago Housing Authority who was endorsed by the Chicago Tribune and the Chicago Sun-Times. Third-year Elias Oakes, who represented campus organization UChicago Student Action at the Taylor event, echoed the sentiment. Julia Attie, another third-year UChicago Student Action member, cited the fact that Taylor has “taken on the University of Chicago admin” as another source of her appeal. Taylor has been among the most vocal advocates for a Community Benefits Agreement for the Obama Presidential Center, which the University has so far refused to sign. Candis Castillo, Taylor’s campaign manager, described Taylor in opposition to Johnson, saying that Johnson “asks everyone to donate. We do not. We do not get donations from people who harm our community." Taylor beat out Johnson as the candidate with the most campaign funds in the race, thanks in large part to sizeable contributions from the Chicago Teachers Union, Service Employees International Union, Chicago Federation of Labor, and the Teamsters. The runoff election will be held on April 2, 2019.